A man in New Zealand is proving there is nothing like a father's love. 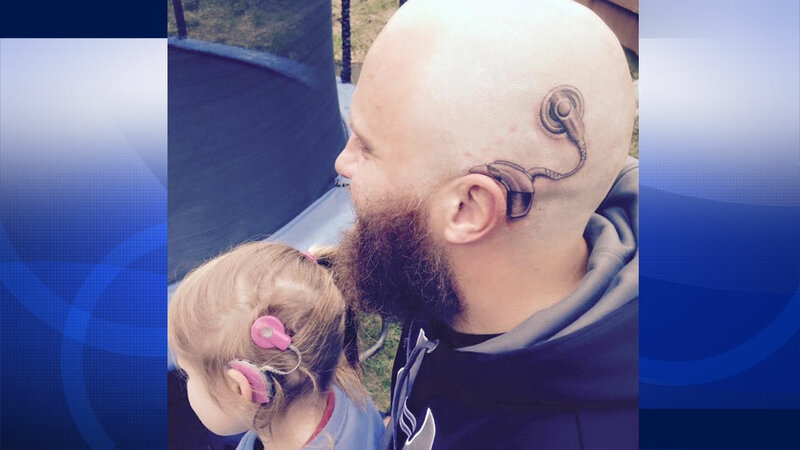 Alistair Campbell shaved his head and got a tattoo of a cochlear implant on his head, just so his six-year-old daughter would feel better about her real one. Charlotte has severe hearing loss. Campbell said he plans to grow his hair out again, but he will shave it if Charlotte wants to see the tattoo again.